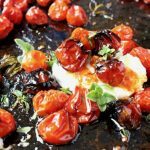 Simple and quick oven roasted cherry tomatoes with thyme, rosemary and creamy goat cheese. Slow roasting method included as well. 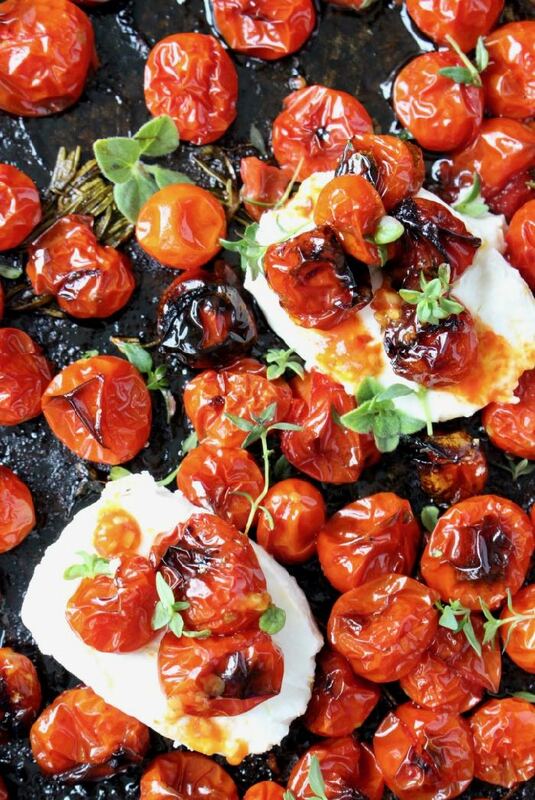 If you haven’t roasted tomatoes yet this summer, now is the time to do it you guys! You really don’t have to do the slow roasting method in the summer heat, all you need is a hot oven at 450”F for about 20 to 25 minutes. Just until the tomatoes burst and start releasing those magnificent juices. I’d go for a double or even triple batch here, because they are absolutely perfect to throw in a salad, a minestrone soup with drizzles of pesto, or add some lemon juice and olive oil then toss them with your favorite pasta. 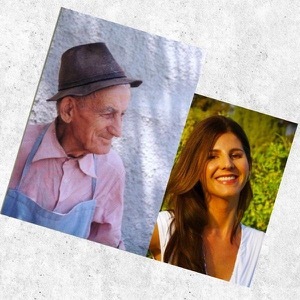 Angel hair would be my first choice or potato gnocchi to make a meal of things. Of course, you should use them to make this roasted tomato soup at least once this year, because you simply can’t order this out anywhere. It wouldn’t be yours truly If I didn’t spoon them over pockets of Burrata cheese, drizzled with scallion dressing and served with bruschetta. I swear our friends show up to our house just for this appetizer. 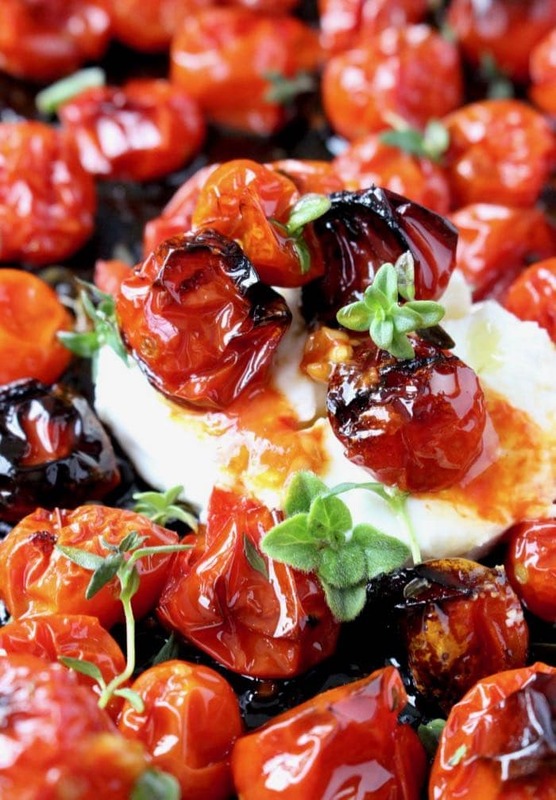 Honestly you can make this recipe with less than perfect tomatoes anytime of the year. 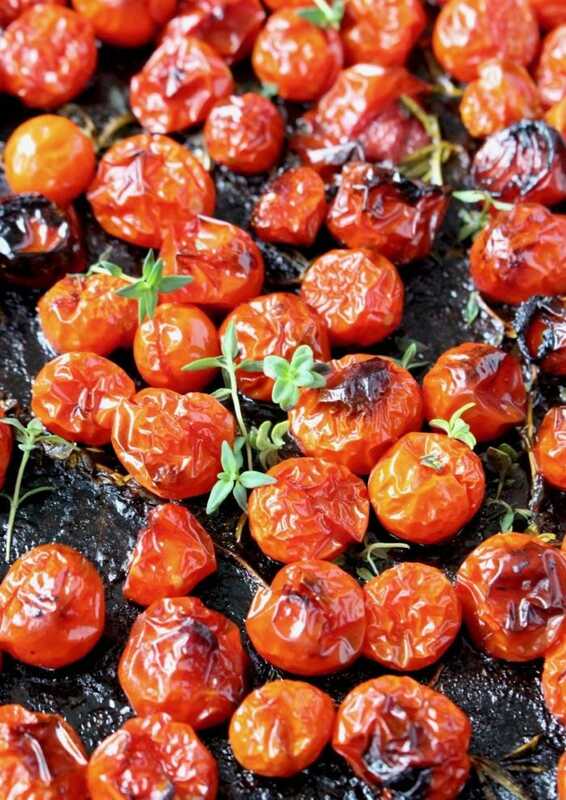 Since everything roasts together with the herbs and olive oil, the natural sugars from the tomatoes concentrate and they start to caramelize. Not to mention you can also help them along with a drizzle of honey if need be. Right now tough, they are perfect! Drizzle the olive oil in the bottom of a rimmed baking sheet. Sprinkle with the sea salt. 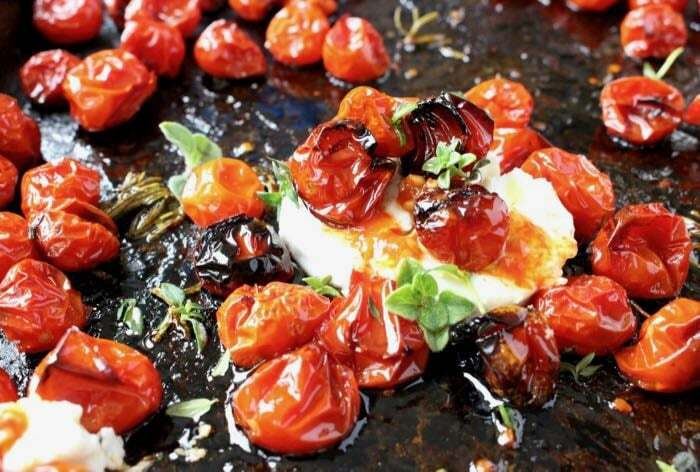 Add the cherry tomatoes to the pan together with the thyme and rosemary and toss to coat. Roast for 10 minutes then give everything a stir. Roast another 10 to 15 minutes until the tomatoes start to burst, collapse and release their juices. 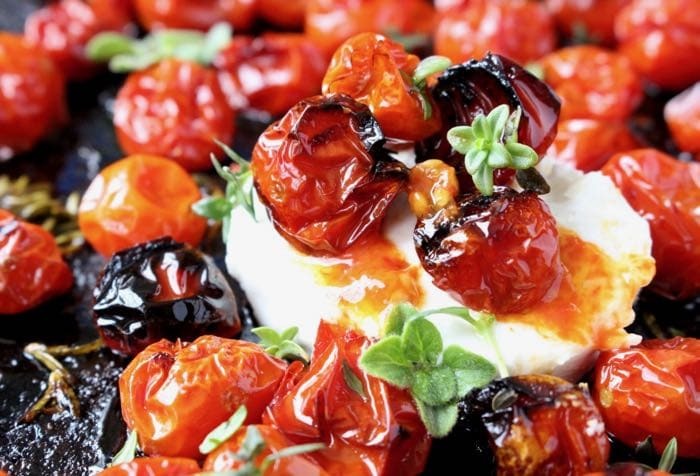 Slice the goat cheese into 1/2 inch rounds and spoon the roasted tomatoes with the juices on top. Serve warm. Preheat oven to 200”F. 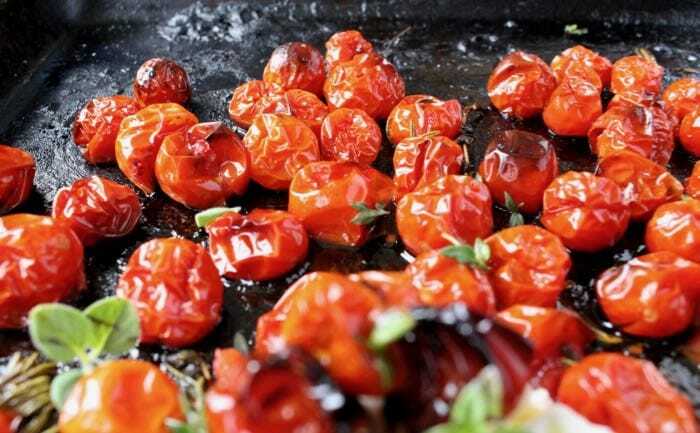 Follow the above steps and roast the tomatoes for 6 to 8 hours stirring a few times during the day. 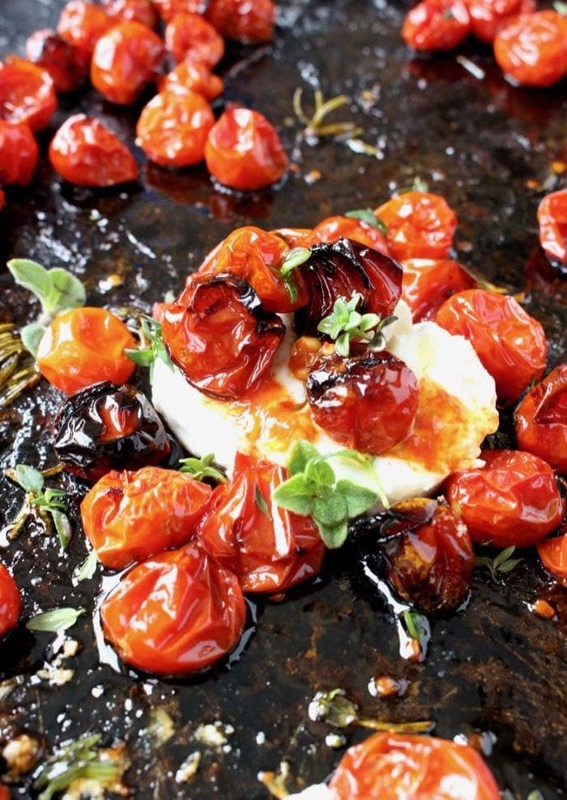 Oh my, why haven’t I been roasting tomatoes all my life ? I seriously can’t get enough of this awesomeness, I’m about to make a triple batch for pasta and to simply enjoy with bread. Thank you for this amazing Tomato inspiration.